Your feet do so much for you, but how much do you really know about them? Have you ever stopped and thought about how much stress your feet go though each and every day? Like most people, you haven't. 1/4 of all the bones in the body are down in your feet. When these bones are out of alignment, so is the rest of the body. Standing, running, jumping- our feet does it all. Although our feet do a lot of work, they are the least pampered part of our body. It is one of the most overworked and under-appreciated parts of the human body. To pamper your feet and keep them strong and flexible, regular foot massages are essential. Your employees deserve a little pampering at work! We offer “on-site” foot massage programs for you and your staff. Give us a call at 780-807-5735 or email us at sonia@overprooffootlonge.com to arrange an ultimate day of relaxation! Planter faciitis is the most common cause of heel pain. 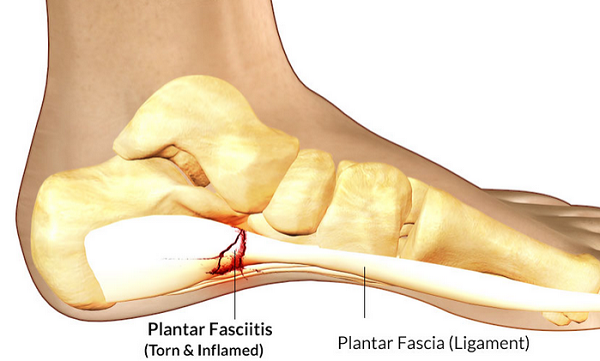 The planter fascia is the flat ligament that connects your heel bone to your toes which supports the arch of your foot. If you strain your plantar fascia, it gets weak, swollen, irritated and inflamed.Consequently, your heel or the bottom of your foot hurts when you stand or walk. It can happen in one foot or both feet. How does one alleviate planter faciitis? One of the most relaxing, lasting and yet cost effective ways is to have regular foot massages. At my spa, Overproof Foot Lounge, you will experience an invigorating and relaxing foot massage. In my gifted hands, your foot pain will be significantly reduced and even alleviated. Your achy and tired feet will feel lighter, as if you are floating on air. This is left immediately and lasts from a few days to a few weeks. When clients leave, they report an overall feeling of wellness and tranquility. "I found owner/manager Sonia Richardson to be very knowledgeable, professional and open -minded in regards to discussing my various foot problems and treatments. And the massage was excellent. My feet had not felt so good for a long time when I skipped my way to my vehicle. Would highly recommend Overproof Foot Lounge." Bruce T.
GET HELP TODAY. BOOK @ www.overprooffootlounge.com or call 780-807-5735! !